A couple of years ago, the Eindhoven University of Technology in Netherlands created the world’s first 3D printed bridge, paving way for the era of 3D printed bridges. Relatively small with only a length of 26 feet, the bridge comprised about 800 layers of concrete and was designed for use by cyclists. 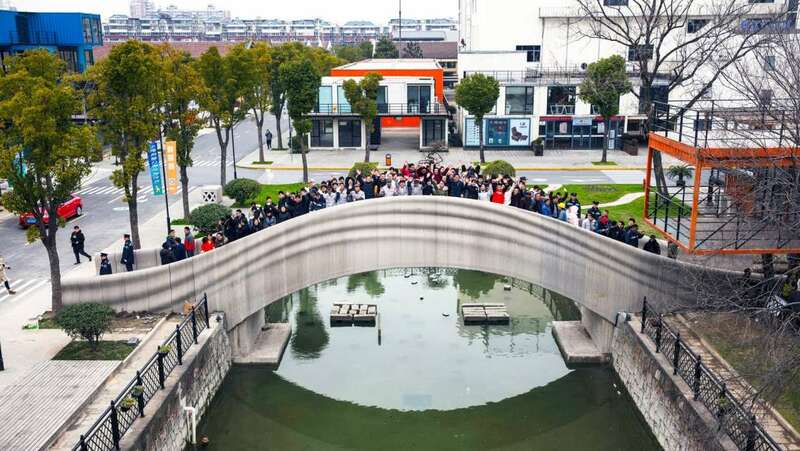 Now, Shanghai is the home of the longest 3D printed bridge after its latest creation surpassed that of Madrid, the Alcobendas Bridge. The Shanghai bridge is a 86 foot pedestrian bridge. This is just another project that advances China’s fame in the art of making spectacular bridges. The team that created it was from the School of Architecture at Tsinghua University in Beijing. The bridge is yet another testimony of how much 3D printing as a method in construction is much more sustainable than other traditional methods. According to the team from Tsinghua, the bridge cost a third less than what a standard bridge of the same size could have cost. There was also tremendous improvement in the time taken to complete the project, being completed in just 450 hours. This 3D bridge drew inspiration from a much ancient creation, the Anji Bridge in Hebei. The Anji Bridge has lasted fourteen centuries and is still used by pedestrians, being the longest standing bridge in China. It took 11 years to build. While the new Shanghai bridge does not compare to its ancient predecessor in terms of beauty, it has achieved quite the feat in its use of technology, given the Anji Bridge was made from limestones. The integrity of the design and its strength were put to test before the main project could begin. This was done by creating a smaller model. 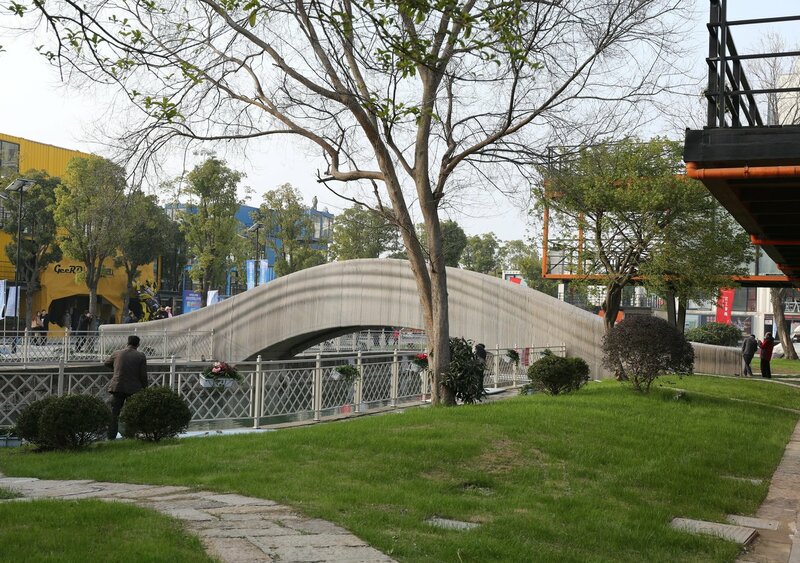 After satisfactory results, the team went ahead with creating the world’s longest 3D printed bridge. Designed by architecture Professor Xu Weiguo, the bridge was constructed by assembling 112 separate sections. The deck is a combination of 44 sections while the undulating sides each take up 34 sections. These concrete components of the bridge were built by two robotic arms. The creators of the bridge didn’t go blindly into the bridge, what makes the model more trustable is the fact that it holds systems that can monitor stress and strain. This way, the designers can track the structure’s condition as time goes by. It remains to be seen whether this bridge will last the fourteen century that the Anji bridge already has. In the wake of this creation, 3D printing construction is bound to pick up. The method is being used in other construction projects, such as of houses. Given the fact that it’s making big saves on costs, labour and time, there’s assurance that many constructors will be taking it up. The fact that it’s still a foolproof method as the strength of the already in place 3D bridges proves despite its much cheaper production makes it more desirable. Now, the world waits to see which other city will come around and take the title of the longest 3D printed bridge from Shanghai.